Sometime in ’93 or ’94, a buddy who was having some trouble studying for his final exams called me one afternoon, out of the blue, and asked me to hold onto his Super Nintendo for a while. The SNES was too big of a distraction from the books, and he needed the thing out of his house if he ever hoped to get passing grades. I had never had the opportunity to spend much time with the SNES, so I was excited to say yes. The next day, he dropped off a cardboard box with the system and maybe 20 cartridges. It turned out that my friend had very good taste in games. During the months that I had his system, I played and beat Shadowrun (so great), Final Fantasy II and III (mind-blowingly amazing), Jurassic Park (don’t hate, that game was awesome), and a number of others. I also tried, and miserably, bitterly failed to play Another World. In fact, I was completely unable to get past the opening scenes. With no sense of where to go or what to do (and no internet to guide me), I found myself dying and dying and dying in the game’s first few levels. Frustration would build, and I would throw the controller at the wall, rip the cartridge from the system, and stew for a couple of days. But inevitably, I would be drawn back to trying Another World again and again, because it was so damn cool, and I had never seen anything quite like it. Another World (also known as “Out of this World”, depending on the release) was a fascinating game. At a time when games were constructed out of pixelized sprites derping around on pre-rendered backgrounds, here was a game that was using cinematic camera angles, integrated cut-scenes, and polygonal characters – including a recognizable human with correct body proportions. It had completely unique mechanics. It had a warbling synth soundtrack. And it was telling a slick sci-fi story about Lester, who has a cool car. One night, Lester shows up to work at the lab (driving his cool car) in the middle of a stormy night (as super-cool scientists are known to do). After making his way through the futuristic security system, he logs onto his sweet computer and starts performing experiments on particles in a huge underground hadron collider. But when the experiment goes awry, Lester finds himself transported to…another world, where he arrives submerged in some sort of pool or reservoir. This aquatic arrival gives players their first of many opportunities to die. The game gives no indication that the opening has just switched from awesome cut-scene to a segment that is now under player control. Unsuspecting players will just sink to the bottom of the pool they are submerged in, the world will fade to black, and a “Game Over” screen will appear. It is the first of many “What the hell?” moments that Another World has in store. 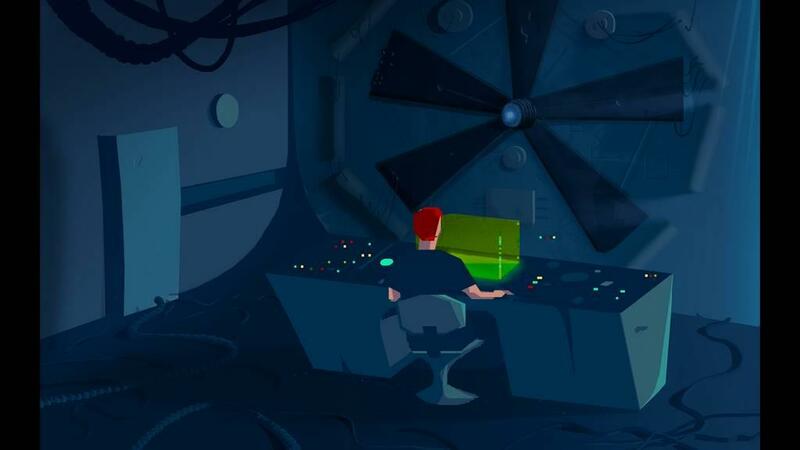 Originally released on the Amiga in 1991 (and more recently re-released for the umpteenth time on Nintendo Switch), Another World has been torturing players with cryptic game design and one-hit kills since its release. Death comes at you from many directions in Another World, and the level design often gives no hint to players that they are entering a dangerous situation. Lester is just walking along, and “ZAP!”. Lester is dead, and now you know to be ready the next time. Even when you know where to go and what to do, Another World still finds a lot of ways to kill you. Let’s be honest here. This game controls like garbage, and it always has. One button controls running, shooting, and about ten other miscellaneous actions, depending on the context. The trouble is, the game often does not recognize which action you are trying to perform, resulting in a lot of moments where you intend to shoot an enemy, but instead you run off a cliff. And somewhere, original game designer Eric Chahi chuckles to himself. Given my history with the game, and the way that I am bagging on the controls and level design, you might be under the impression that I don’t like Another World. Nothing could be further from the truth. These days, I see Another World as something of a miracle of game design and development. Playing the game today, I simply cannot believe that developers in the early ‘90s got this thing running on a Super Nintendo. The graphics are super sleek. Although the word “smooth” is overused in describing game animation (totally guilty on numerous counts), there is no other word that describes the animation in Another World better. 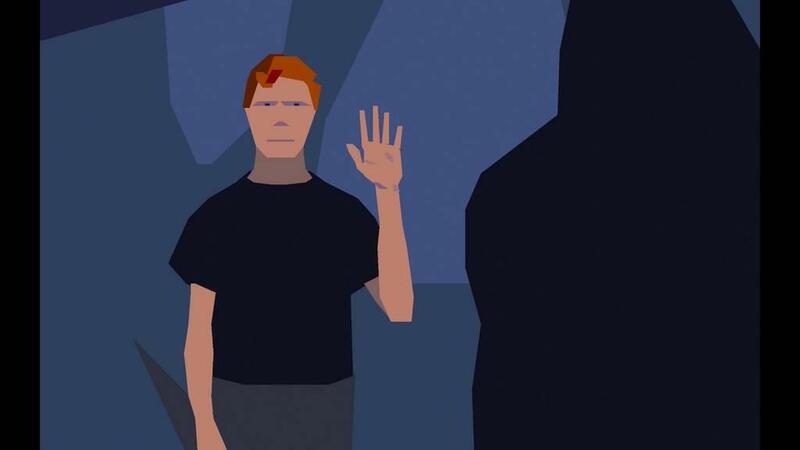 At a time when the highest end triple-A games were still herky-jerky affairs, Another World achieved a fluidity in animation that was unparalleled. There is a feature in the new remake/remaster that allows players to toggle between the updated visuals and the original graphics on the fly, and the level of fidelity between the two is jaw-dropping. The new version looks slick and cool, much the way older players might remember Another World looking. Click the toggle, and you might be stunned to see that the original graphics look almost as good. Sure, the details are expressed in a more short-hand, pixilated way, but all of the animation and cool cinematic moments are identical. 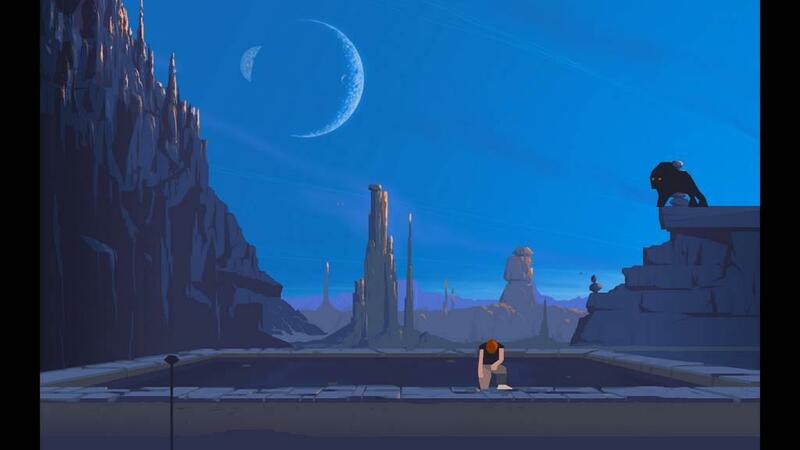 Another World was a game far ahead of its time. Now about that difficulty level; there is a sub-category of the modern gaming community that thrives on difficult games. I think that for these folks, playing Another World will be an eye-opening experience. They will see the roots of many modern gaming conventions at play, and I think that modern gamers might get a kick out of just how easy it is to screw up and get killed in this game, over and over again. I would encourage anyone coming to Another World for the first time to take a crack at it without the aid of a walkthrough, just to see how far they would have gotten back in the olden days before walkthroughs existed. And once they run up against a brick wall enough times that they feel like they might quit the game entirely, they should know that it is okay to Google a 1995 walkthrough. We all do it. Just remember that it is bad to throw controllers at the wall. Bad for the controllers, bad for the wall. Players that played on an older system back in the day and bounced off of Another World like so many did, might be interested to see how far they get with their modern skillset. I was pleasantly surprised that with 25 additional years of gaming under my belt, I was able to get a lot farther than I was ever able to get in 1993. Now, I have no shame in admitting that eventually I caved and resorted to a walkthrough, just because all of the “go left three screens, shoot a thing, now go right two screens and drop down the third hole” mechanics would have taken me months to work through if I were playing the game straight. And I will be honest, even with the walkthrough, Another World had me crunching up my controller in frustration at times. Some of the jumps are extremely difficult, and I already mentioned how I feel about the control system. But that makes the eventual victory all the sweeter. 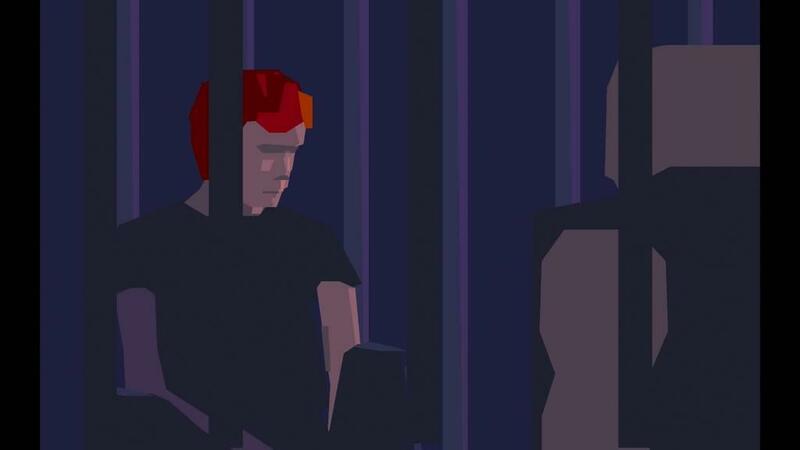 When I finished Another World a couple of days ago, I felt a satisfaction so deep that it is difficult to describe. It felt as though unfinished business from my youth had finally been put to rest. It felt like finally getting a cast taken off after months and months, and being able to finally scratch that itch that had been plaguing me. It felt like finally beating that game that absolutely confounded me in my younger days. I sent an email to the Gaming Nexus admins that said “Life Achievement unlocked!”, and it absolutely felt true. Another World is a fantastic game. After 25 years, the revolutionary visuals still hold up. The level design is still just as confounding. The story (which I’ve purposely avoided talking about beyond the opening) is still as trippy and weird. For veterans and new-comers alike, visiting Another World on the Switch is well worth your time and effort. 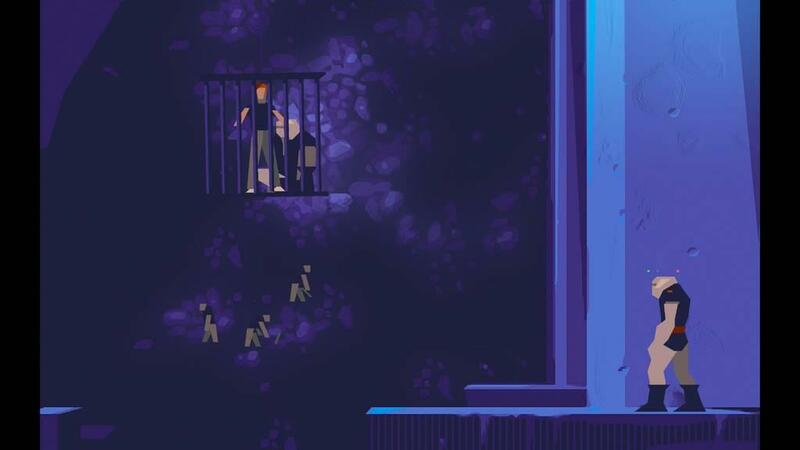 Playing Another World feels like more than a dusty visit to the video game museum. It is something more akin to an exciting examination of modern gaming’s DNA under a powerful microscope. For those interested in the origins of Souls games, rogue-likes, and cinematic adventure games, this is the place to look. Be ready for some wonky old-school controls and bewildering level design, but know that working your way past those limitations is absolutely worth it.